WHITE CHEDDAR POPCORN - 300MG THC A savory departure into flavor country. We use a cannabis infused coconut oil for a light taste and texture. 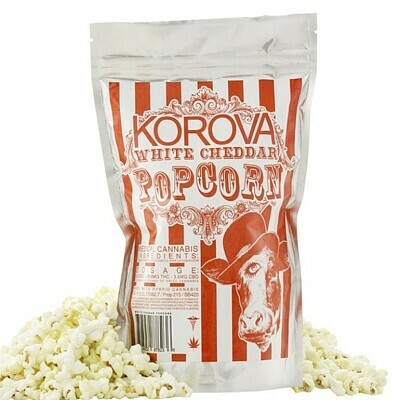 Covered in white cheddar that packs a punch of flavor as well as Korova’s traditional unrivaled potency.